During 2016 we have started importing Mexican serapes/blankets these iconic blankets come it a variety of vibrant colours. The serape is recognised as a symbol of Mexico and is used for many purposes. It is used as a bed cover, blanket, picnic rug in modern times however historically it was used by men as a shawl or cloak. We are selling a selection of these versatile Mexican blankets online. Not quite Rio but still beach life on the East Coast of Scotland. You could always wrap it around you to keep warm! 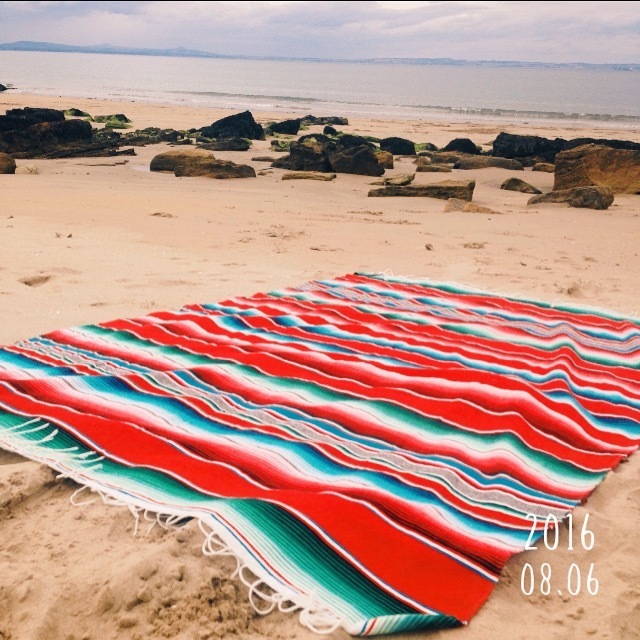 This entry was posted in Mexican Blankets Serapes on August 7, 2016 by admin.